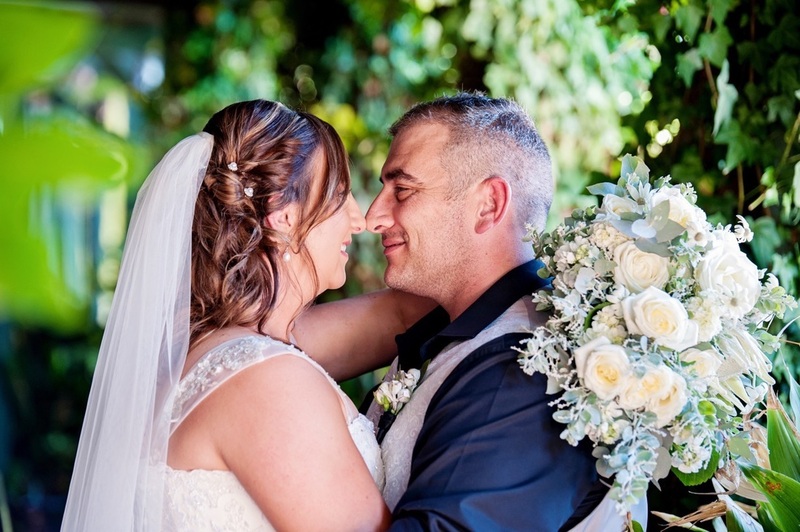 ​We can cater to all aspects of a personalised wedding - from the ceremony through to reception, with dancing in the original ballroom, to a room to retire to at the end of the evening. 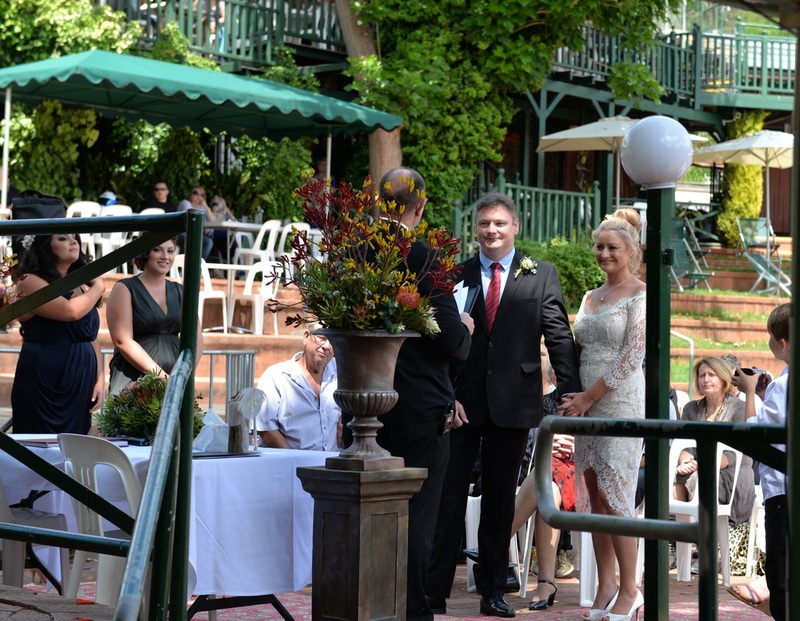 The Hotel gardens and federation design provide the perfect backdrop for your celebratory function. 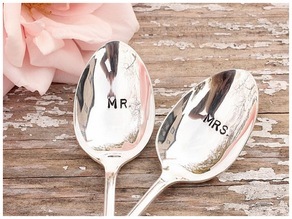 Choose a location within the venue to suit that special day. Be limited only by your imagination to create that dream event, be it formal, casual, vintage, or a medieval themed feast! All areas are wheelchair accessible, and we have ample free parking, and chalet style accommodation. Setup options are very flexible, and can be arranged to suit the size and style of the event. We provide linen tablecloths, cutlery, crockery and glassware, and you are welcome to add your own decorations and touches. 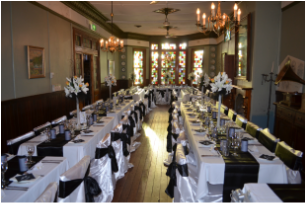 The Hotel provides all catering, offering several different options to suit your event and area. 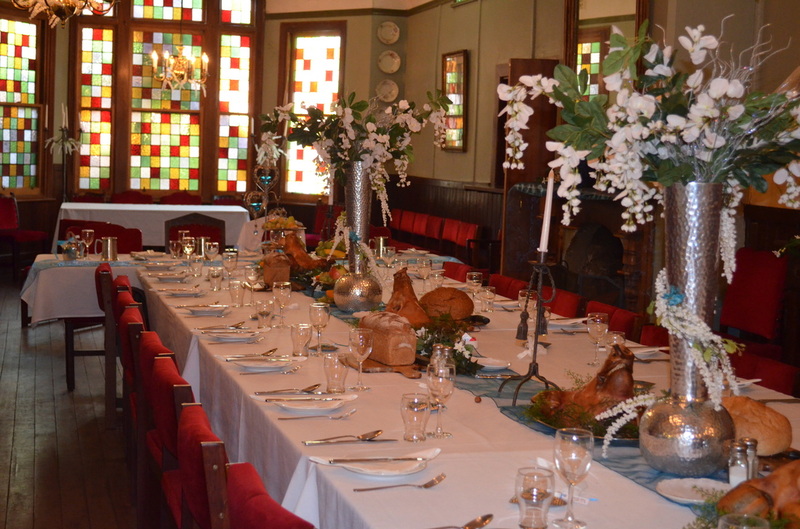 Dine in turn of the century surroundings in this delightful dining room of polished jarrah, stained glass and open fires. The adjoining ballroom provides space for your after dinner dancing. Select from a range of set menu options and canapés. Maximum for seated dining is 100 people. Extensive glass windows provide a splendid view over the gardens and amphitheatre, with the forest as a backdrop. Indoors can be set to seat up to 35 guests, ideal for that intimate wedding party, or open the bi-fold doors and spread out onto the outdoor balcony. The indoor Treetops Balcony is used as a venue for pre-dinner drinks or cocktails. The covered Pergola can be utilised for an any weather Ceremony location. 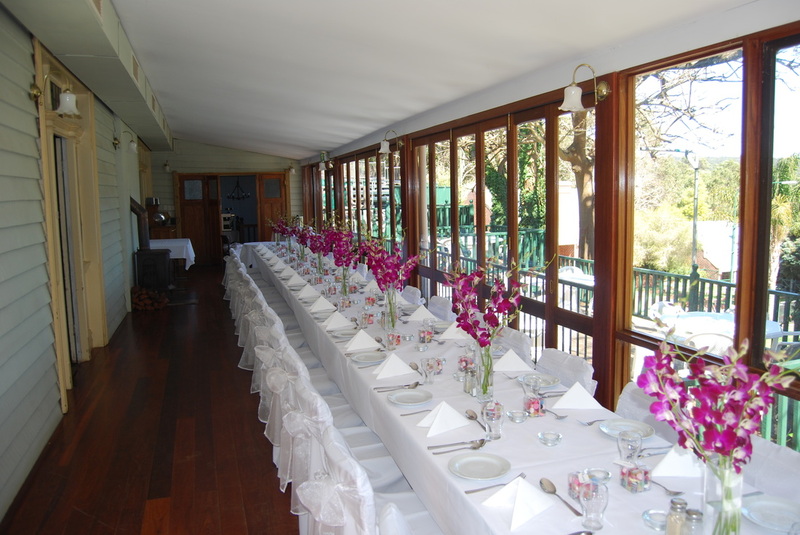 It can also provide a wonderful alternative venue for your reception in the garden. With full bar set-up in the area including 4 tap beer options of your choice. Please give us an idea of the proposed date, type of catering, number of guests, reception and/or ceremony, location within the venue.